See the Events page for details of upcoming events. Print from wood engraving by A.C.Cooke, artist amd W.J.Ellis architect. Published in The illustrated Australian news for home readers. Ebenezer and David Syme, April 20, 1874. 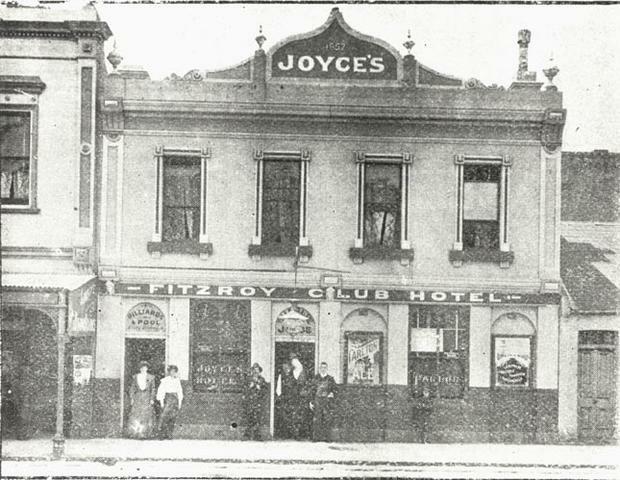 The Fitzroy Club Hotel was at 382 Brunswick Street, east side just north of Rose Street. Today the building is occupied by Sheila Vintage Clothing. After its name change from the Eglinton Hotel in 1891, early licensees were Francis Bennett (1893), Sarah Keyson (1894), Susan Stevens (1895), Theresa Dwyer (1897), Nellie Allen (1898), Ada Quinlist (1899), Mary Ann Noel (1900), Margaret Hancock (1901), Mrs S Mackay (1904), Charles Joyce (1905-08). It was delicensed and the building sold in 1916. A social was held in the local hall at night. Mr Francis, of Fitzroy, presided at the piano, and Mr P. Glennon made an efficient M C. Mr C Joyce, of the Fitzroy Club Hotel, Brunswick.street, lent most valuable aid, his songs “The man that struck the gold mine in Coolgardie” and “The Golden Wedding” being loudly applauded. M.M. Description: 1905 Image held by Fitzroy Library. Charlie Joyce, Proprietor. Taken from the Collingwood and Fitzroy illustrated Directory and Handbook, 1905. The establishment of this website was funded by City of Yarra through the City of Yarra Grants Program. The Fitzroy History Society is grateful to the City of Yarra and the Yarra Libraries for their continued support. Original material submitted to Fitzroy History Society website remains the property of the submitter who nonetheless agrees that though the material may be freely copied, it may not be used for financial gain without the permission of its rightful owner. 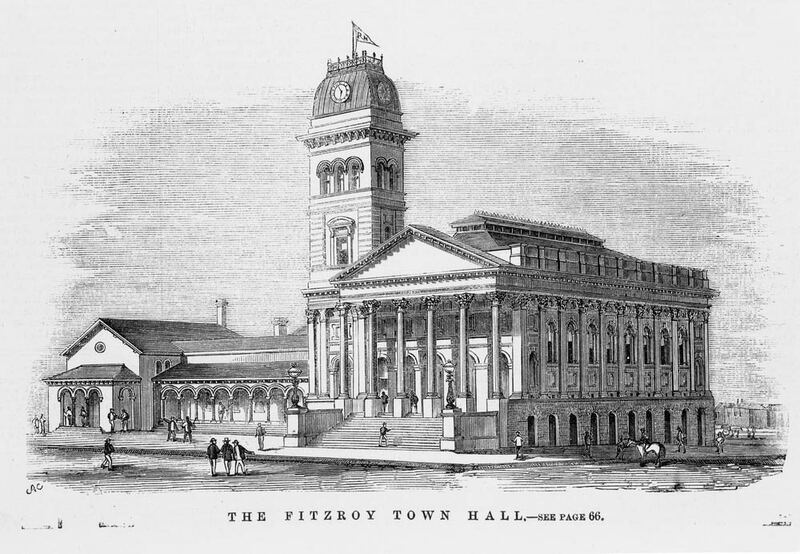 The Fitzroy History Society hopes to provide accurate and up-to-date information on its website but takes no responsibility for the accuracy or completeness of that information.